Why Should Estate Agents Use Aerial Video and Photographs? 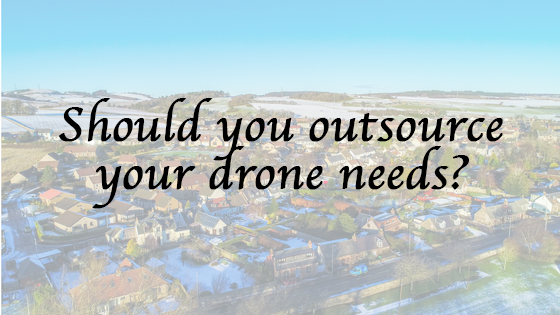 You’re not sure whether you should buy a drone and do it in-house or whether you should outsource the work to a drone services company? You know that you can work more safely and cost-effectively by using drones but don’t know how to go about it? Drones aren’t just for Christmas, they are a seriously sophisticated tool for getting work done quickly and safely but you know that already. 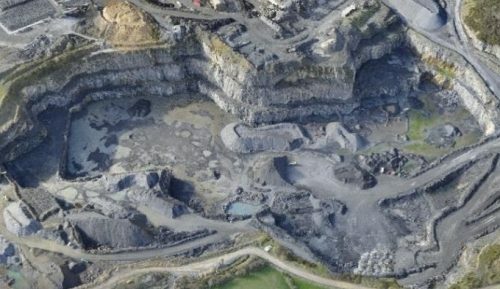 Have a look at some of the other posts on this site if you aren’t already sure how drones can help make your business safer and more profitable. This article will lay out the pros and cons of each approach to help you decide which is best for your situation. This article is going to give you the information you need to be able to make an informed decision about how you go about introducing drones into your business. We’re not going to talk here about which drones are best for you, we’ll do that in another post or you can get in touch to have a chat about what would suit your needs best. If after reading this you think buying your own drone is the right thing for your business we will give as much advice as you need. If you want to skip the reading you can go straight to the bottom of the post and have a look. at the table of costs. Remember though that your decision needs to take into account more than just financial costs. The best way forward may be to outsource until you get a feel for what would be required to run your own drone programme. The first thing most business owners think about is cost. Cost is, of course, an important driver in making business decisions. We’ll discuss costs first and then address some other things you need to consider. For illustration purposes, we will suppose that you want to use a drone to carry out building inspection work on a construction site. You want to be able to document the progress on a monthly basis to show to stakeholders and to monitor health and safety on the site. You may well want to do it more often than that but I am using it for illustration purposes because the latest job we quoted for was for a monthly flight over a road construction site. Is it going to be more cost effective to do the drone work in-house or to outsource it? To do it in-house you’re going to need a drone. We will assume that you just need a standard professional drone with a high definition camera. A DJI Phantom 4 Pro is probably going to do you. The typical costs of a drone suitable for the purpose will be around £2000. That will get you a Phantom 4 pro with a couple of extra batteries and a case to keep it in. If you want to do anything more specialised then you will start spending lots more. A 30 times zoom camera, for example, will cost £8000 and you’ll need a £8000 drone to hang it on! You are also going to need some other kit some of which you may already have, things like cones to keep people out of the take-off and landing area, two-way radios for the pilot to be able to communicate with the observers (more about the observers later) and perhaps PPE. If you budget another £200-300 for the extra stuff you should be about right. The drone, batteries and all the rest of the stuff will need looking after and won’t last forever so you will need to budget for replacing it at some point. You’re also going to need someone to operate it. You may have read about autonomous drones but in the UK it’s going to be very difficult to get permission from the Civil Aviation Authority (CAA) to fly one of those! If you’re going to do an inspection once a month perhaps one of your team can do it as another part of their job. The size of the site will dictate how much time a job will take so you’ll have to find the time in that person’s schedule. No matter what size your site it’s going to take at least an hour to get the kit, set it up, do a quick flight and put the kit away again. You will also have to complete a dynamic site survey and risk assessment as well as the pre and post flight checks so an hour really is the minimum amount of time. Someone will have to charge the batteries, complete the paperwork (more on that later) and look after the equipment. That’s probably another hour per flight. So a half-hour flight has now taken two hours or longer. Multiply that by an hourly rate and that will give you an idea of your manpower costs. You may also need to allocate an observer to assist the pilot during the setup and conduct of the flight. The observer’s job is to keep an eye out for hazards while the pilot is concentrating on flying the drone. Things like people coming close etc. Now you will have to train the pilot. That’s going to cost around £1000 for him or her to be certified competent. You will need to add to that the cost of releasing him or her for a 4 or 5-day course, accommodation and travel costs perhaps and any specialist training that may be required. So, to put a figure on it for you we are looking at the costs of equipment and for simplicities sake, we will say it lasts for 2 years before you need to replace it. So the cost of equipment per flight will be something like £95 if flying monthly or about £22 if you fly weekly, though replacement costs may be higher if you fly weekly. The cost per flight of the pilot will be whatever he or she gets paid. Taking an average of £37,000 for a construction site supervisor that would be around £40-50 per flight plus 3 days training per year divided by 12 to give you a monthly figure of £35. Throw in an observer for the 30-minute flight and we have a grand total of around £175 per flight if flying monthly and £105 per flight if flying weekly. This difference is because the equipment costs remain much the same no matter how many times you fly. I won’t bother adding in battery replacement and charging costs or replacing propellors etc. We also need to consider legislation and risk. If you are only flying the drone for your own business purposes and are not selling the data/footage/images then you are not required to have a Permission for Commercial Operations (PfCO) from the CAA. However, in order to comply with regulations, you will have to operate the drone safely and best practice would be to compile an operations manual in exactly the same way as a PfCO holder would. To make sure the manual is fit for purpose and will stand up to scrutiny should an accident occur it would be wise to submit it to the CAA as an application for a PfCO. Production of the manual will take some effort and time but the cost of the PfCO is only £173 in the first year and £130 for annual renewal, though these prices will change in April 2018. Just when you thought that was it covered, you are going to need some insurance. You won’t be able to get insurance if you don’t have a PfCO and if you are going to get a PfCO you will need insurance. I know it sounds like a catch 22 situation but it works out OK.
‘We already have plenty of insurance‘ I hear you cry but the problem is that for flying drones it must comply with EC Regulation EC 785/2004 and I am pretty sure that the insurance you have doesn’t. Depending on which drone you fly and what equipment you have for it, insurance can cost anywhere from £400 and up. If you are just flying one drone and associated equipment £400 should cover it. 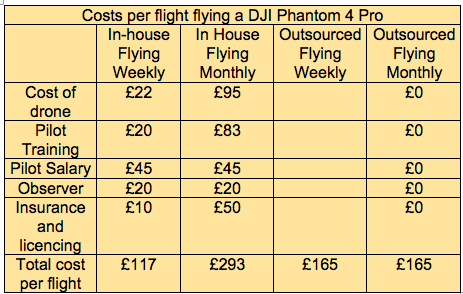 Insurance and PfCO then will add around £50 to your monthly flight making it at least £225. So that just about covers the cost of doing-it-yourself with a standard professional drone. If you need to use specialist equipment it will be much more than that. What about getting someone in to do it for you? 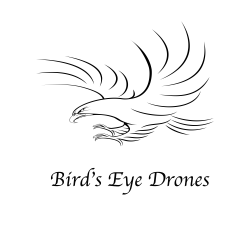 Costs will obviously vary between operators but so we are comparing like with like Bird’s Eye Drones would be able to do the same monthly flight and provide you with video and photographs for £165. So if you are flying weekly it would be cheaper to do it yourself but more cost effective to hire someone in to do it monthly. Cost isn’t the only consideration though. Probably most importantly we will take away work and the risk associated with flying drones. What else does contracting out give you? It gives you a qualified, insured, licenced and experienced operator who is flying drones for a living and not just once in a while. 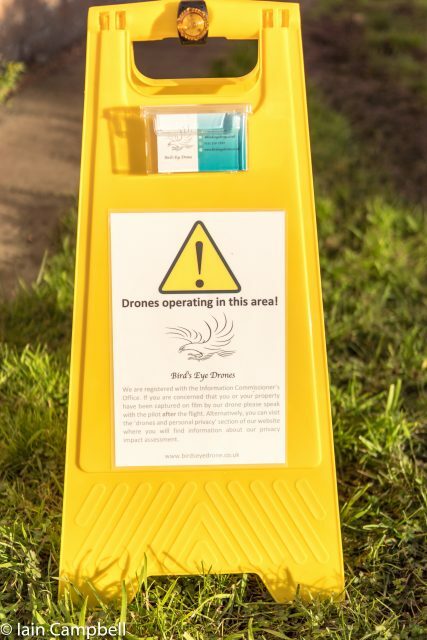 That means you have a much lower risk of an accident happening on your site and it if it does happen, the drone service provider is responsible. We can use more expensive specialist equipment without you needing to make any investment in it. You won’t have to produce operations manuals, keep your PfCO up to date, provide insurance, look after the equipment or any of the things previously mentioned. We can add value by providing you with data such as photogrammetry and 3d models etc, though this would cost more of course. You hire a turnkey solution and get your data/images/footage provided in a format you can use to get on with your main job. By now you should have an idea of whether you should outsource or keep your drone services in-house. If you still need some more information to help you decide please get in touch with us. We will give you honest advice to help you decide. We don’t sell drones, only drone services so we will give you impartial information to help you decide the best drone for your needs. If you have decided that offsetting the risk to someone else is the way forward just get in touch and we can discuss your needs. You will find other articles to help you understand just how much drones can do for your business in our blogs. This article from Hitched.co.uk gives you everything you need to know about drone wedding photography. There is a link at the bottom of the page to their drone directory to help you find a competent provider. They didn’t have any in Scotland when we looked so if you are in Scotland you will have to rummage around the internet for yourself, or give us a call. 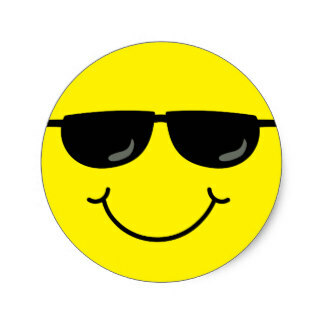 Click the smiley. Forget any preconceptions you have of drones being toy planes for adults who refuse to grow up – drone wedding photography has been on the rise for quite some time now and it’s not exactly hard to see why. Thanks to the ever changing world of technology, today’s drones can capture truly spectacular aerial wedding photographs that you’ll want to treasure forever. However, just as you would ask your wedding photographer questions, there’s certain things you need to know about hiring a wedding drone. A drone is simply an unmanned aircraft. These image-capturing aircrafts can film and photograph from a unique aerial perspective, providing high quality cinematic footage and photos to treasure forever. Drones are increasingly becoming a ‘must-have’, to help capture those unforgettable wedding moments. Why are they ideal for weddings? Drones can be a fantastic option to consider when you choose your wedding videography and photography, as they can be used in a variety of ways. They can capture key moments of the day – such as videoing a special moment between the bride and groom or perhaps photographing a big group of guests from above. Drone filming can look so spectacular, because the footage can really reveal the grandeur of a wedding venue and its surroundings. Is it expensive to hire a drone? Prices vary so make sure to get a few quotes, but you should typically budget around £300 to £1000 to hire a drone operator who can also deliver an edited video. In our experience, brides and grooms usually go for this option and want a drone operator who can both capture the aerials and provide completely edited videos and photos. Who would control the drone at the wedding? The pilot (who operates the drone from the ground using controls) is responsible for the overall safety of the flight. Guests must not do anything to compromise that, such as distracting them during the flight. There are rules that drone operators follow to ensure that everyone is as safe as possible whilst the drone is flying. Can I control the drone? It’s best to leave drone flying to the professionals – after all, learning to fly a drone often takes hundreds of hours of practise. Drones aren’t toys. The controls are pretty complex and aren’t something that you can simply just pick up. Do you have any tips for couples who are hiring a drone for their wedding? The key thing when planning your drone wedding photography is to allow time to capture the event and carefully choose the moments when it flies. An ideal moment to capture would be between the ceremony and the reception whilst the guests are socialising. A classic drone wedding shot is to position all the guests together with the bride and groom in the centre whilst the drone ascends into the sky – everyone will appear in the frame and get smaller and smaller as the drone flies away. Will the weather have to be taken into consideration? Yes. It’s worth noting that drones can’t fly in rain or high winds. The pilot will tell you if the weather conditions are unsuitable for flying. Drones, vows and speeches don’t go together because of the noise that the drones make. Drones aren’t quiet because they have high powered motors which turn the propellers to produce the uplift. It’s best to talk to your drone pilot, guests and venue, so that you can arrange when the drone needs to be grounded for the important bits. Will the photography be high quality? Your pilot will typically be able to offer a range of cameras to suit your budget. When you go to pick a camera, you should consider your wedding budget, how much material you plan to film and how good you want your pictures or video to look. Today, wedding drone operators are using everything from GoPros to DSLR cameras. Some drones even come with built-in 4K cameras. Will I need to get permission from my venue to have a drone? Yes. Your pilot will need permission from the land owner and/or venue before flying. Arranging to have a drone at a wedding requires considerable planning and preparation, so give yourself enough time to discuss the safety considerations with your pilot and the venue. However, the time and effort spent in the planning is well worth it, since nothing comes close to capturing breathtaking and unique aerial footage and photos on one of the biggest days of your life! What kind of venue would best suit drone photography and videography? Outdoor wedding venues with lots of space make the best venues for drones, but having said that, there are many drone pilots across the UK who have the skills and experience to fly indoors. How do I hire a safe and legal drone operator? You must make sure that your drone operator is a safe and legal operator. By law, any drone operator who is flying for commercial gain must have permission from the Civil Aviation Authority (CAA) and have a valid insurance. There are many illegal drone operators who use them without CAA permission or insurance, which is a criminal offence. Our company, Drone Safe Register (DSR), is a searchable drone hire directory which only lists professional drone operators with CAA permission – so you can rest assured that you are strictly looking for legal drone operators when you go through DSR. Thinking of having a drone at your wedding? Head to our drone directory on hitched to browse through our listed suppliers. You can also check out the CAA’s website to familiarise yourself with their ‘drone code’. To get an idea on cost you may want to have a look here at our price list. If what you want isn’t there than get in touch so we can discuss your needs.